The exclusive design is just the beginning. The innovative AquaDigitalLife aquarium automation system from the AquaCoral company is a revolution in aquarium keeping. The endless beauty of the undersea world offers viewers indescribable pleasures. 99% of functions are automated. Extremely convenient, you don’t have to worry about anything. Just enjoy your favorite hobby without hassles. 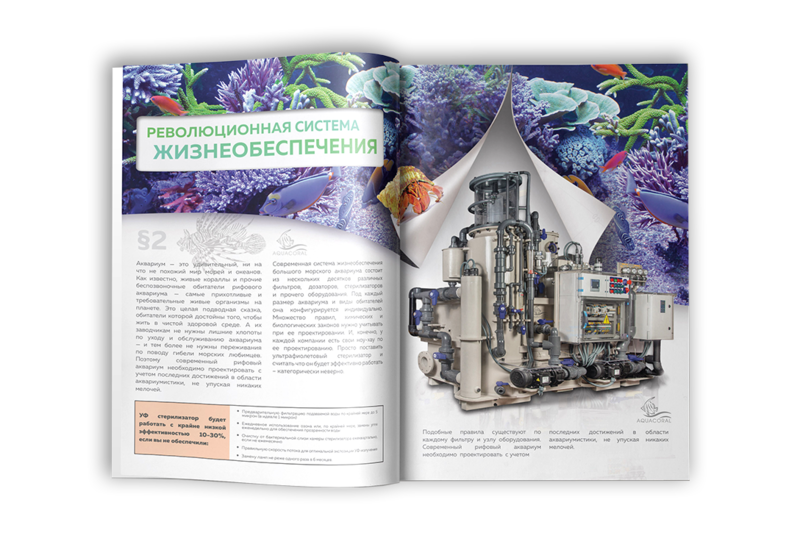 The highest degree of reliability for aquarium operation. Healthy and strong fish, what could be better for our planet? Fully automated. Maximum reliability. Wonderfully efficient. Get to know the unbelievable power of our AquaDigitalLife system "AquaDigitalLife"
Minute-by-minute analysis of water values ensures a 98% level of efficiency. Smart data processing provides an ideal living environment for your aquarium fish. Using the world’s finest achievements and our own innovations, we have carefully chosen and designed each part of the automation system to ensure a high degree of precision, thus guaranteeing that the whole system works smarter and more reliably, greatly reducing accidents and loss. Simple to the max.Unbelievably easy to manage. We have redesigned our interface to feature a one-of-a-kind 3D model, which uses an intuitive sensor-based control. This is Art in Automation. 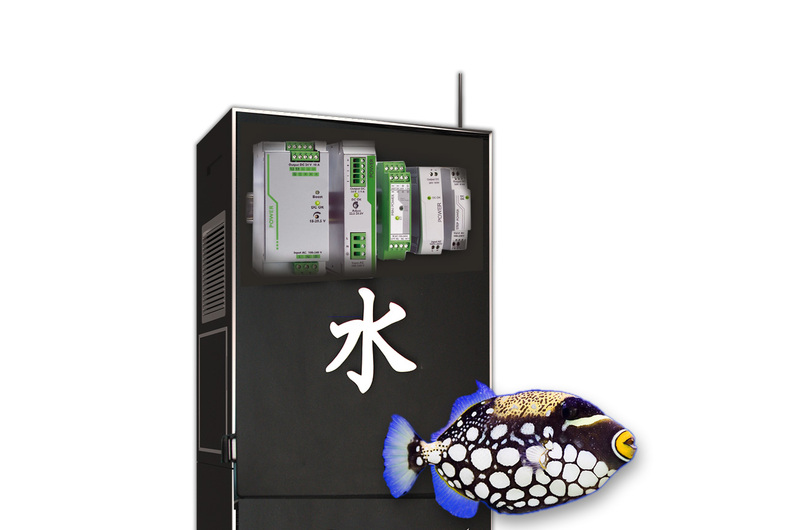 The one-of-a-kind monitoring of aquarium operation will detect incorrect values instantly and launch the backup system. No other aquarium on the market can ensure such a level of uninterrupted and fault-free operation. 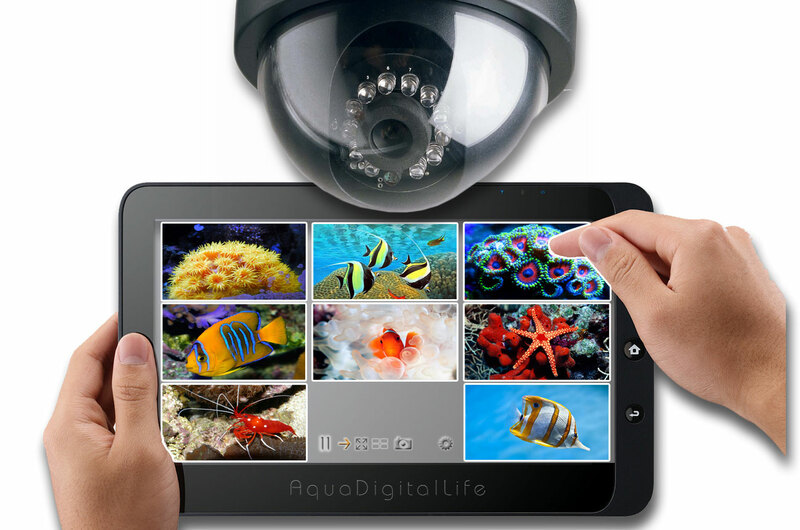 We have brought together a revolutionary interface, instant SMS notifications, an HD webcam and wi-fi monitor to offer you an unprecedented degree of remote monitoring and supervision of large aquariums. Your ability to manage your aquarium is boundless. We have brought together a revolutionary interface, instant SMS notifications, an HD webcam and wi-fi monitor to offer you an unprecedented degree of remote monitoring and supervision of large aquariums. Precise, round-the-clock automatic monitoring of 15 aquarium values. You can be confident that your aquarium is running in perfect condition. The beauty of the world’s oceans is enchanting. 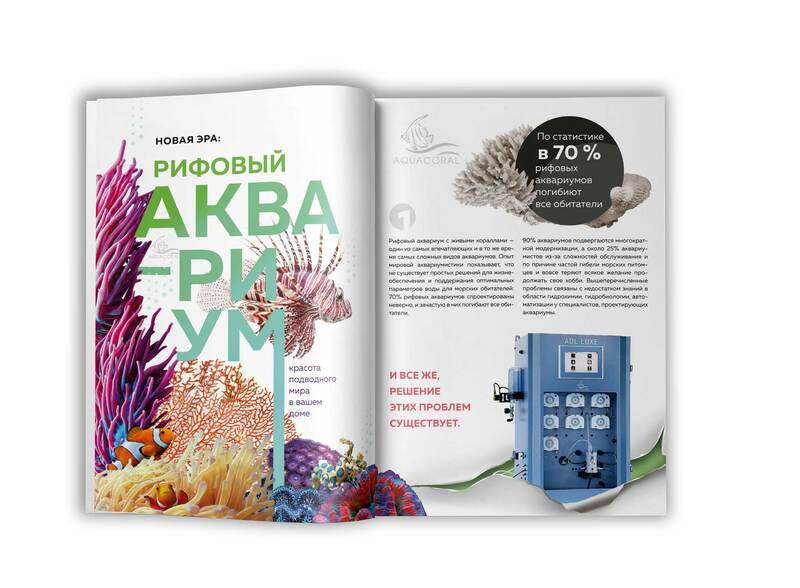 Our exclusive sea aquarium with living coral is the most impressive combination of powerful technology, innovative automation, the finest components, and a personalized design. 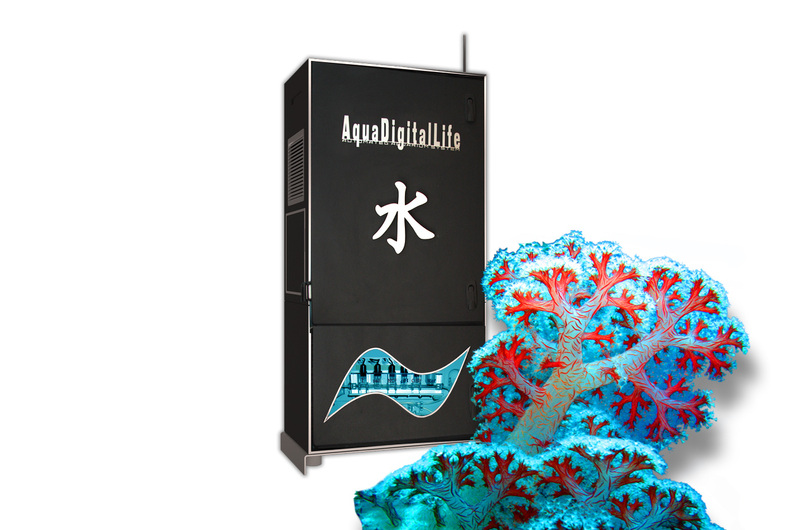 AquaCoral offers a unique technology for life support in aquariums and oceanariums called AquaDigitalLife. There’s nothing else like it in the world. Clean water means a healthy and long life for your pets. Unlike traditional aquariums, the automatic denitrification (removal of nitrates from the water) ensures that the water stays clean and suitable for keeping live coral, without any hassles or manual tests. 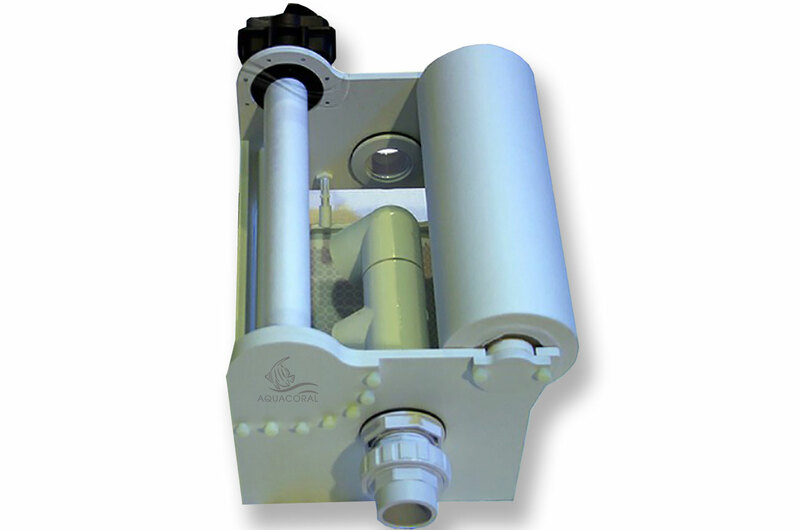 The biofilters are manufactured to the highest standard of quality. Luxury Ocean aquariums don’t just feature an exquisite design, they are also uniquely Smart aquariums. The smart automation system can independently regulate all values, without the need for human involvement. Most of the components in our AquaDigitalLife automation system are brilliant innovations, which aquarium owners could only dream of before. 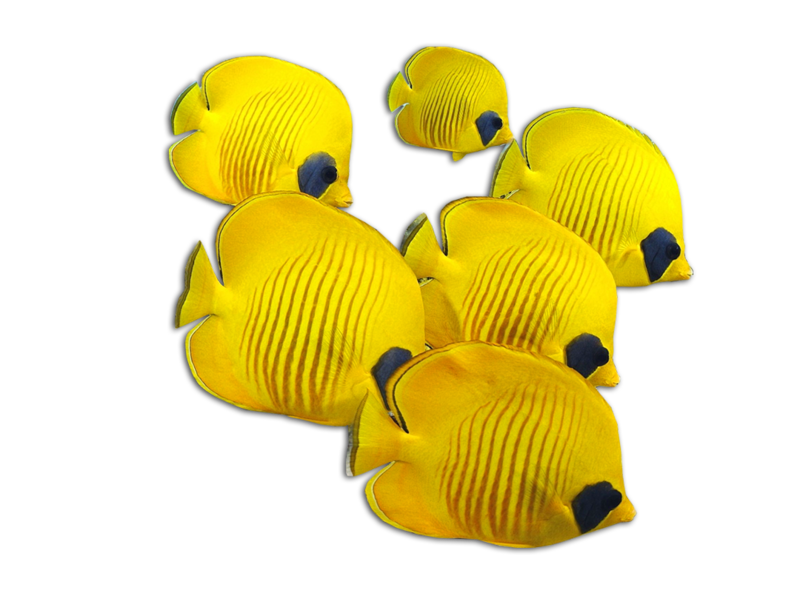 Enjoy an unbelievable variety of sea creatures in your aquarium. One of the most important things for the health and quality of life of the inhabitants of your aquarium is the freshness of their food. To ensure this, we have created a system for automatic cold dispensing of food. Now your living coral and other invertebrate creatures will always have fresh food and feel great. Our ultrasound level sensor is more precise and longer-lasting. It needs no cleaning or maintenance. Never before has it been so easy to adjust the level of the water in your aquarium. You don’t have to worry about any leaks due to a dirty sensor. Luxury Ocean aquariums are without peer in the high-tech aquarium market. They can maintain water values for 99% of real natural ecosystems, and their rich flora and fauna will make your dreams of an exquisite aquarium come true..
All of the achievements of today’s cutting-edge automation technology have been brought to life in our unique AquaDigitalLife aquarium automation system. The story of this brand goes far beyond the boundaries of technology and art – it is a story of innovative breakthroughs in aquarium keeping. We build aquariums with sea water and full automation. Our head office is located in Moscow, but we work throughout Russia. We can provide full supply and installation services in any part of the country. The exclusive design, peerless level of convenience, and powerful automation make for a unique space, where time stands still and you can marvel at the majesty and endless beauty of the underwater world. 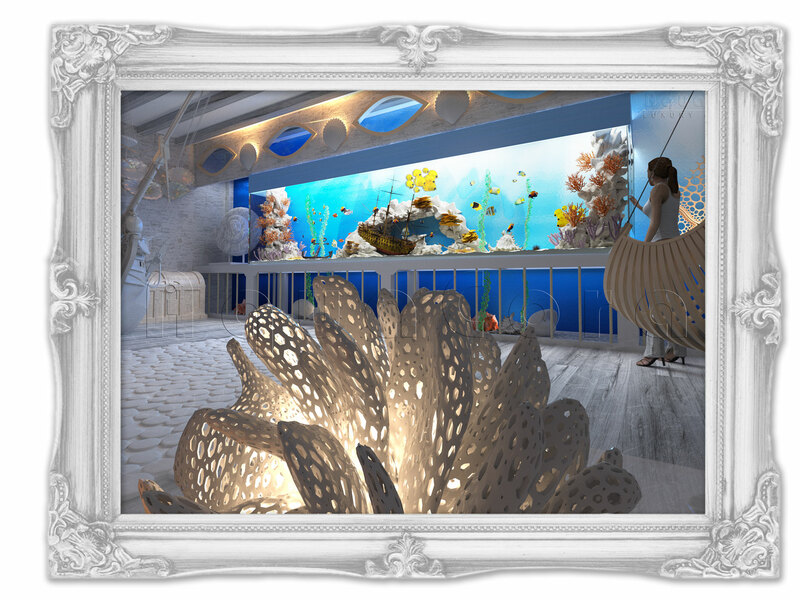 Luxury Ocean aquariums are without peer in the high-tech aquarium market. They can maintain water values for 99% of real natural ecosystems, and their rich flora and fauna will make your dreams of an exquisite aquarium come true. 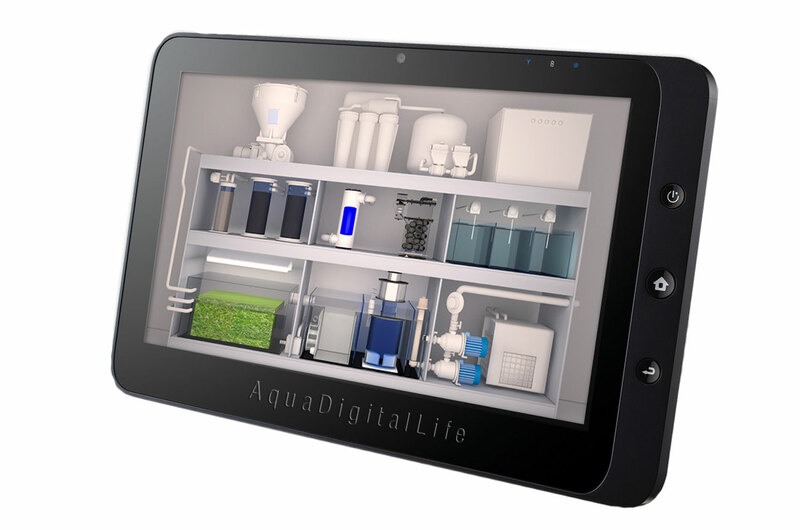 All of the achievements of modern high-tech automation have come together to create our unique aquarium automation system called AquaDigitalLife. The story of this brand goes far beyond the boundaries of technology and art – it is a story of innovative breakthroughs in aquarium keeping. The Luxury Ocean brand is more than just a luxury aquarium: it is a piece of living ocean behind glass in your home, made with taste, elegance, and a touch of the romantic. This is not just part of an interior design philosophy, it also makes the aquarium an exquisite centerpiece of your home, endlessly colorful and attractive. AquaDigitalLife - more than aquarium computer. We manufacture large aquariums from GLASS, from 500 liters and up, for any interior. Discover the majesty and variety of the ocean’s underwater creatures behind glass. Enjoy the delightful shapes and bright colors of sea creatures. 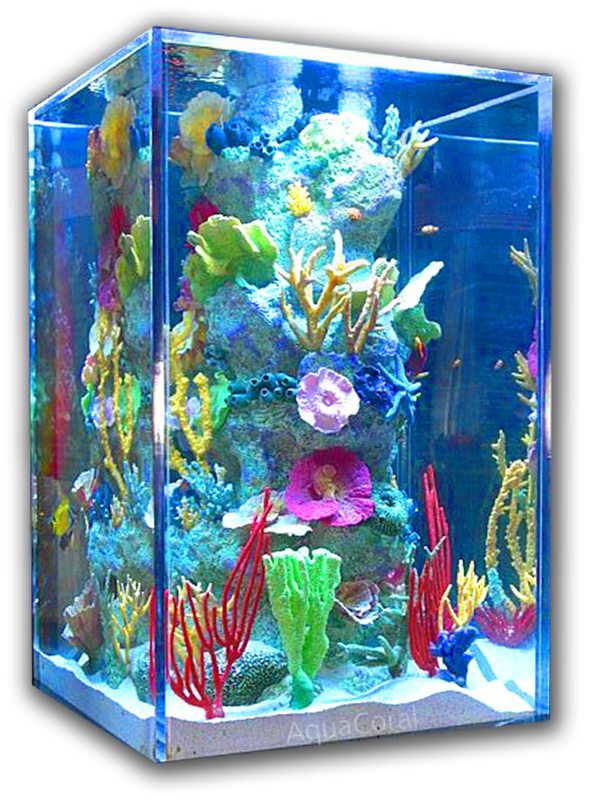 Aquariums made from acrylic glass of any size or shape. We produce aquariums from ACRYLIC GLASS to order from 1000 liters and up. 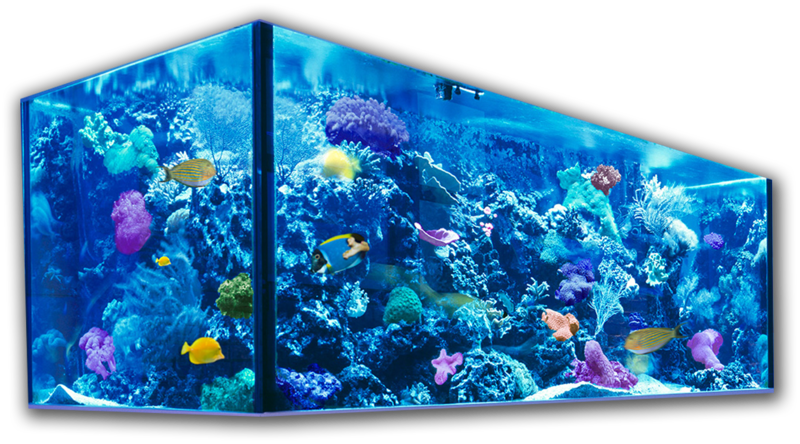 Calming and thrilling at the same time, Luxury Ocean aquariums are a richly personalized choice. Our automated Luxury Ocean aquariums allow you to keep the widest range of colorful and beautiful sea creatures, which sometimes require that strict environmental conditions are maintained: corals, mollusks, starfish, sea urchins, and more. Enjoy your hobby without hassles. What we sell is not just an aquarium, it is a work of art, delicately interwoven with the natural world and advanced technology. Our customers are people with a sense for the beauty of things, forward-thinking and innovative individuals, who find it easy to understand one another. Luxury Ocean aquariums are a whole world of luxury and innovation, they offer a lifestyle of advanced technology and unbelievable beauty. The story of this brand goes far beyond the boundaries of technology and art – it is a story of innovative breakthroughs in aquarium keeping. We are the only company holding a patent in aquarium technology and offering the most advanced aquarium life support system on the market, unrivaled by anything else in the world. We think that this life support system will prove no less impressive than the aquarium itself. We believe that by reinventing the aquarium and its life support system, everything can be rethought and turned into reality all over again. Any photos, data and specifications provided on this Site are for reference only. 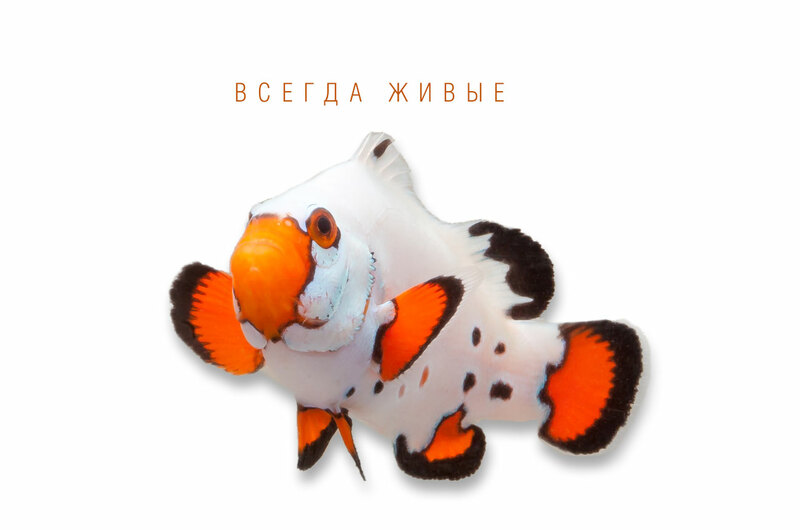 AquaCoral reserves the right to make changes at any time to the design and specifications of automation systems of aquarium AquaDigitalLIfe (aquarium computer) and conditions of sale and other products. AquaCoral also reserves the right from time to time to sell or not any specific model and products and make changes to the content set forth here for any model and products. Any efficiency data, test results on this Site may vary due to many factors including: the volume of the aquarium, the number of inhabitants, the frequency of water changes, the quality of water to be added, the degree of automation, etc. Copyright © 2016 AquaCoral Inc. All rights reserved.